It’s been a disappointing spring. The first two months being colder than usual, and November so far being hot and windy. Coupled with almost no rain, the result has been fewer than usual spring blooms. Native bees do not appreciate this sort of weather. After two months of impatient waiting, I finally allowed myself to check the honey super on my native beehive – to discover no honey and a partially blocked hole. My local bee advisor suggests that they are not ready to fill the honey pot yet and that I need to wait impatiently for another couple of months. Hoping the holes mean that they will fill the pot later? 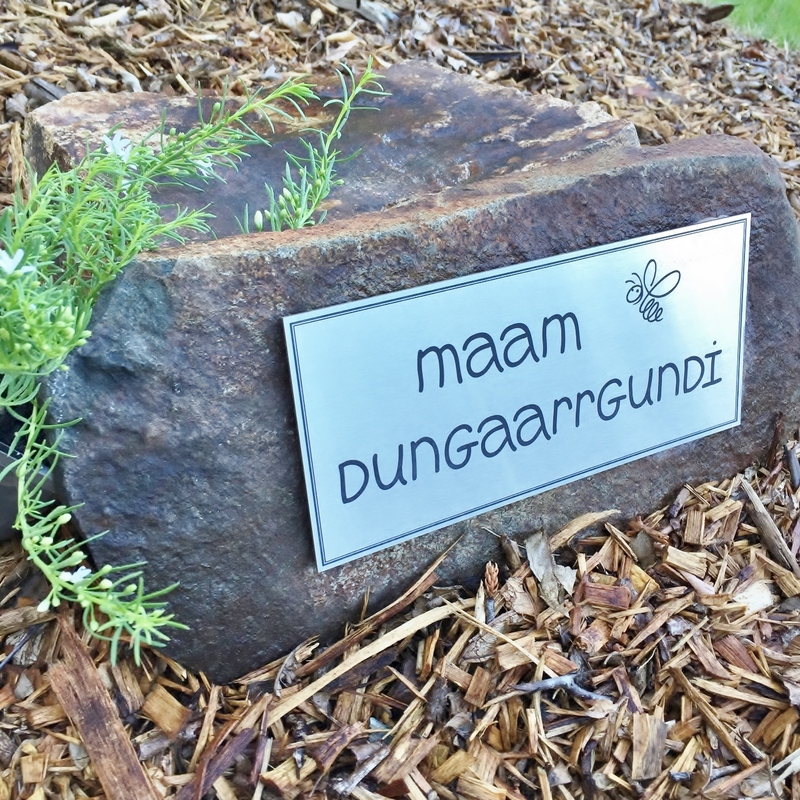 In the meantime, just so there’s no doubt that I’m running a bee friendly garden, I’ve named my garden “maam dungaarrgundi” which means “place of bees” in the local indigenous Gumbaynggirr language. Native bees are welcome, stingless or otherwise. 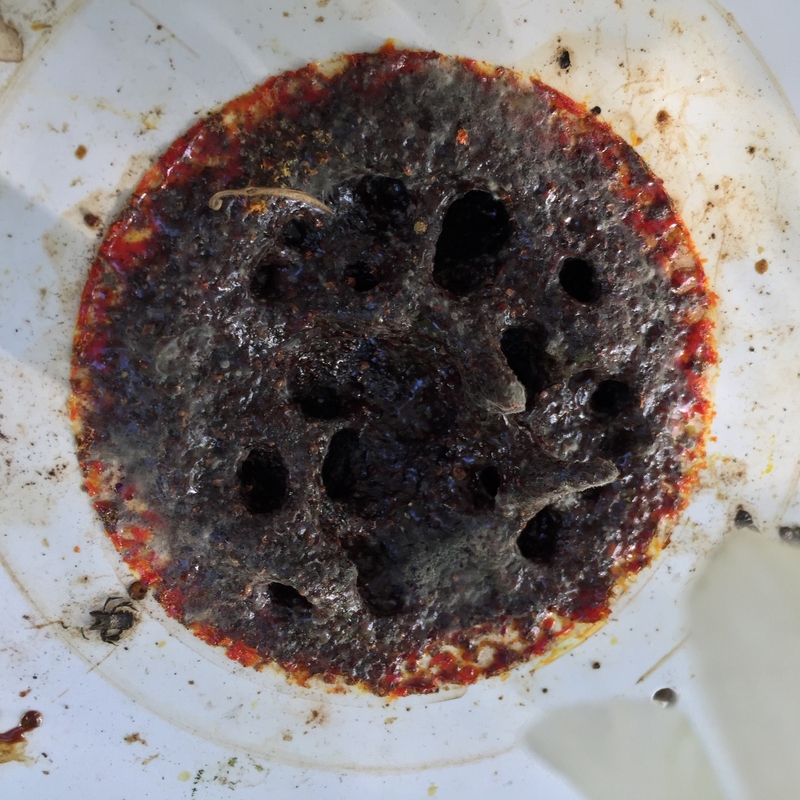 A lack of flowers doesn’t stop the native bees from keeping up with the housekeeping – the Poo Patrol regularly brings out rubbish in the form of little pellets. So I decided to do some housekeeping of my own. Thinking that the Bee Motel that I created several years ago had been all but abandoned, I moved it to a shadier spot and then decided to clean out the nest holes. Ooops – I very nearly killed a pretty Homalictus bee which emerged spluttering and covered in dust. Thankfully, the rest of the holes only contained little dead bodies. The European bees are busy in the pecan catkins, and hover flies are still around, but I’m not holding out much hope for a good native bee season unless we get some meaningful rain. All very disappointing. Previous Pigface … who knew? Thank you. But we are on water restrictions and if it doesn’t rain soon there won’t be anything pretty to photograph! Great to have a garden named in original local language!